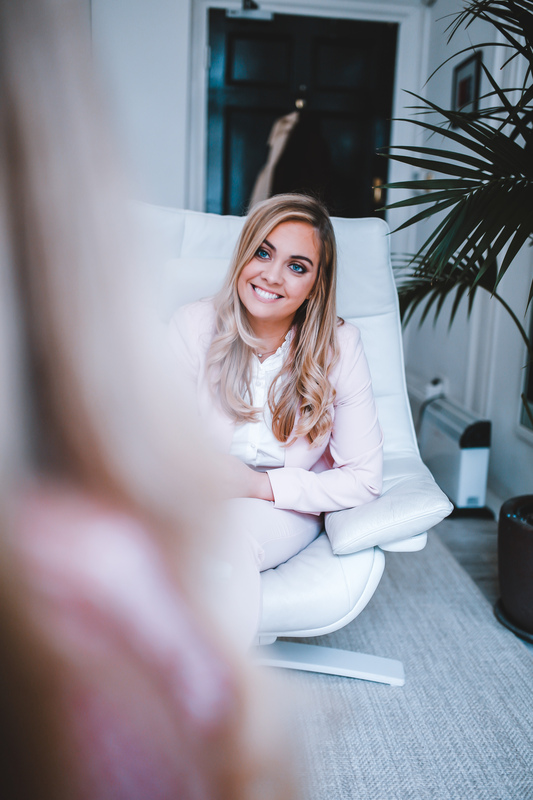 Laura’s training at the National Centre For Eating Disorders underpins the essential psychological and physical components needed for recovery, this remarkable and inspired training is taught in line with the latest thinking from a range of psychologies and healing approaches. Laura is also trained in CBT for ED’S, Body Image Interventions and is undergoing her certified Diploma as a Therapeautic Coach. 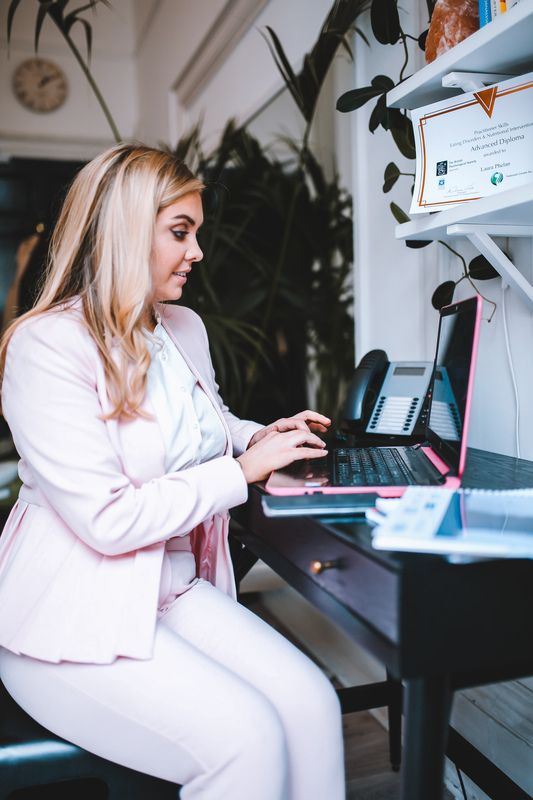 Laura has a Clinic on Harley Street and also works through Skype using her expertise as an eating disorder specialist and her own personal experience of recovery. These sessions enable you to recover in a safe, and supportive environment. With weekly interventions, home works and food and mood diary assessments Laura uses her lived experience and expertise to hold your hand every step of the way and get you to a place of health and happiness. Laura runs a series of workshops which cover the entire range of her training and expertise in just one session. These workshops are a great way for people to connect and meet with Laura should they not be able to access a one to one service. The workshops enable people to leave feeling more positive, uplifted and full of wisdom on how to lead a healthy, happy, active lifestyle in balance and harmony with themselves. Laura offers specific school tailored workshops for young people and corporate style workshops. I attended Phelan Well's wellness workshop and so glad I did, 5 months on I still think about the key lessons I learnt and have incorporated into my day. My favourite parts were acknowledging ways to deal with stress, be kinder to myself and a great exercise on our dream future, and how I can start doing some of those things now. Highly recommend for giving yourself a life moral boost. Laura has been featured on the BBC, ITV, Channel 5 News and The Victoria Derbyshire show sharing her story of recovery and acting as a beacon of hope to thousands across the country. As well as this she has spoken at Southbank’s women of the world festival, Steph Elswood “Stay Sassy” event, Ladies empowerment days, UCL, Models 1 London and featured several times on Secklow Sounds BBC radio 5 live, BBC RADIO 4 and LBC as a means to inspire others to take care of their mental health and reach out to those who may not know of her services and unique expertise. She was ‘absolutely fantastic’ she had never seen so much discussion from every member at one meeting! Apparently Laura kept the whole room engaged all evening! Well done to her. Laura runs retreats and mini wellbeing days in an intimate, supportive and safe setting to help people build confidence and enhance their mental health and overall wellbeing. 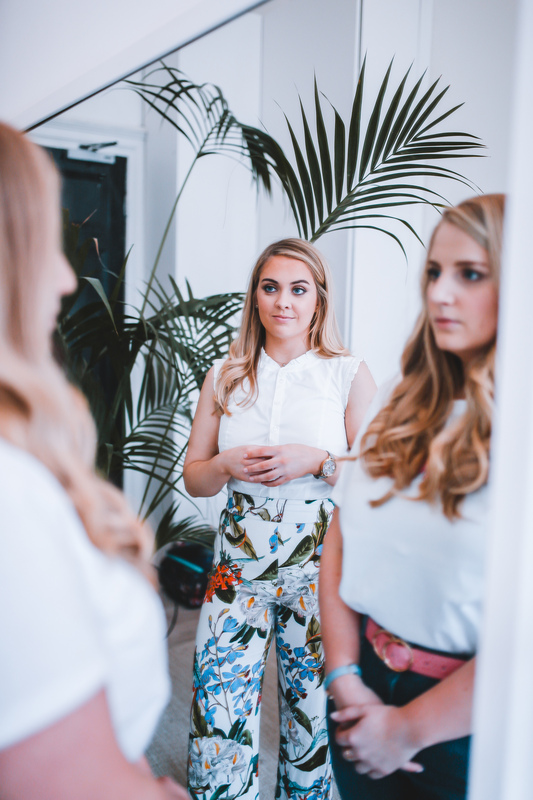 Laura’s personalised approach leaves people feeling empowered, de-stressed, in control of their wellbeing, more at peace with their body image and with a new found confidence. You will leave feeling more at peace with yourself, with key skills and tools to lead a healthy and happy lifestyle. Feeling so energised after my time on the retreat and I had so much fun. Laura is an amazing facilitator and makes you feel so good when your working with her, both inside and out.